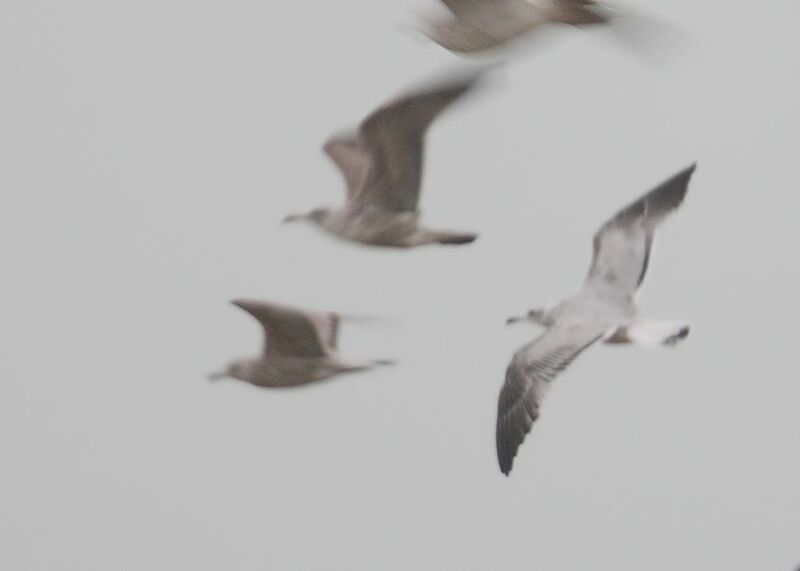 Audouin's Gull ~ 2nd. 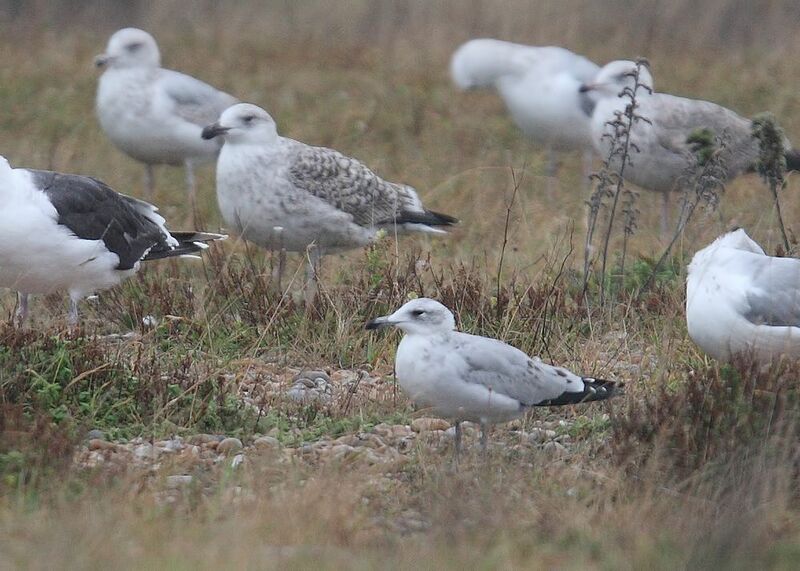 W ~ ** MEGA ** ~ Dungeness, Kent - 12.10.14 | Birding the day away !! Straight off the plane from Poland and headed down to Dungeness for the afternoon .. It was now raining quite hard, it was early evening and noticed DW on the concrete road, He was heavily into a bird amongst the flock, after five minutes he's still going at it with his camera, and was now joined by Andy A ..
DW ... What do you make of that odd bird to the left of the casp ? My reply was what spun it in the wrong direction !! ... Doh !! Me ... That's got Laughing in it !! AA .. Laughing X Ring-billed ..
And so we F*@k up the id ! !